Situated deep in the Wairoa Valley, just 45 minutes drive from central Nelson, ‘The Gorge’ is home to well over 70km of hand-built mountain bike trails that run through a lush native and beech forest environment from a maximum elevation of 1200m. Think epic back country riding, mixed with bike park convenience. The trails in The Gorge are sublime, and have to be experienced to be fully appreciated. One of the key features of the park is the pristine native forest that the trails are set in, which is a magical place to be. The trails themselves have been painstakingly created over several years by the best trail builders in New Zealand. The grades run from two right up to five and there is more riding than anyone can handle in a day. 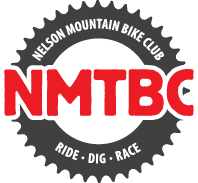 Everyone is welcome to ride at The Gorge, but you do need to be a current member of Nelson Mountain Bike Club (it's quick and easy to join - just click here). We also run a limited number of private shuttle days and events at the facility each year that the general public can enter. On this website you'll find all of the information you need about The Gorge; our trails, what to bring, how to book, how to find us and the important stuff you need to know. If you have any questions, or want to book a private day or visit as part of a larger group then please contact us and we'll be happy to help out.